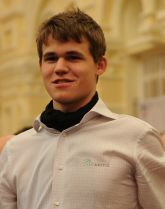 World's strongest chess player Magnus Carlsen of Norway has just won the 7th Mikhail Tal Chess Memorial in Moscow with an exciting last-round win. 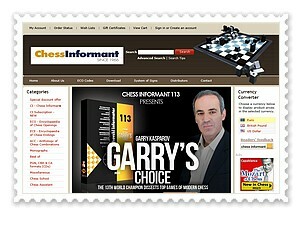 Carlsen's blog is a sponsoring agreement between Arctic Securities and the Magnus Carlsen. Magnus became an International Grandmaster at the age of 13, the youngest at the time. 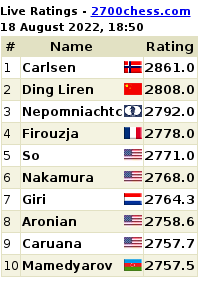 After Tal Memorial, Carlsen will get the super-strong rating of 2837! He is surpassed only by the legendary Garry Kasparov who reached a rating of 2851 in January, 2000.